Wu Yuxiang (1812-1880) was the creator of another Style of Tai Chi Quan. A Yongnian resident in Hebi, Wu Yuxiang learned the ABC's of Tai Chi from fellow provincial Yang Luchan. In 1852, Wu Yuxiang went to work for his brother at Wuyang. On his way to Wuyang, he learned the new routine ,of Tai Chi Quan from Chen Qingping and mastered it. At his brother's home, Wu Yuxiang got hold of a transcript of Wang Zongyue's On Tai Chi Quan. 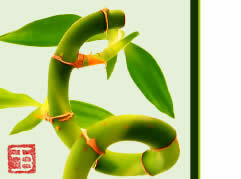 So upon returning home, Wu Yuxiang delved into the book and practised the principles stipulated in it. Wu eventually wrote Ten Essential Points of Martial Artists and Four-Word Poetic Secrets of Tai Chi: Apply, Cover, Combat and Swallow, which have become the classics of Chinese Wushu writing. 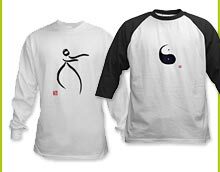 The Wu Yuxiang style of Tai Chi features compactness, slow movement, strict footwork and distinguishes between substantialness and insubstantialness. The chest and abdomen are kept upright while the body is moving around. The outside movement of the body is initiated by the circulation of air flows inside the body and by inner adjustments of substantialness and insubstantialness. The two hands are in charge of their respective halves of the body-one does not infringe upon the other. The hand never goes farther than the foot. Li Yishe (1832-1892), son of Wu Yuxiang's sister, inherited the Wu Yuxiang style of Tai Chi. He wrote about his experience of practising Five-Word Essentials, The Secret to Relaxation: Lift, Guide, Loosen and Release and Essentials for Tai Chi Movements and Actions. In the first year of the Republic (1911), Hao Weizhen (1849-1920) from Yongnian County taught the Wu Yuxiang style of Tai Chi in Beijing, and later in Nanjing and Shanghai. 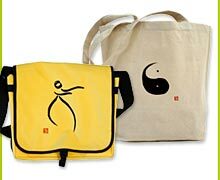 The Wu Yuxiang Style Tai Chi Chuan was known by the name "Xiao Jia" ("small frame").